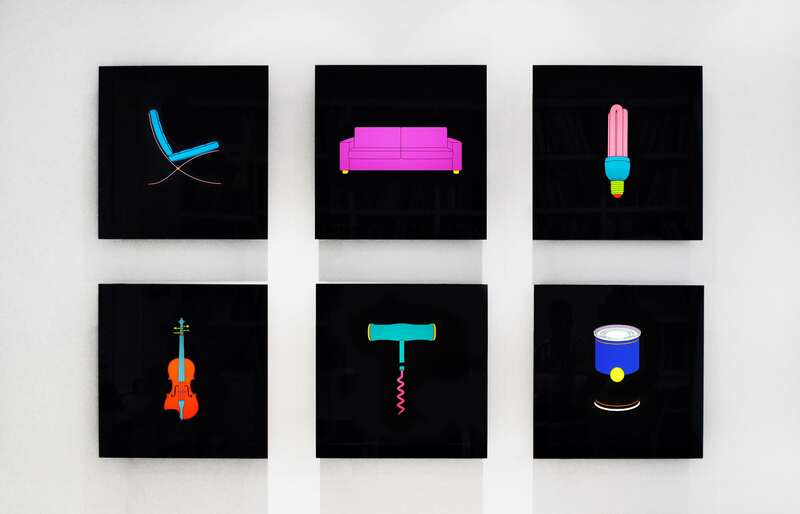 Michael Craig-Martin (born 1941) is an important artist whose impressive oeuvre is a combination of three significant Post-War disciplines: Pop Art, Minimalism, and Conceptual Art. Craig-Martin began building his visual vocabulary of objects while studying at Yale University from 1961 to 1966. He is well-known for being an influential instructor at Goldsmiths College in London and taught important 1990s artists: Damien Hirst, Julian Opie, and Ian Davenport. His works are in important public collections including the Tate Gallery, London; The Museum of Modern Art, New York, and others. Michael Craig-Martin was born in Dublin, Ireland in 1941. He grew up in the United States, where he received his higher education: first at Fordham University in New York (1961) followed by Yale University in Connecticut (1961-1966). In his final year of study, he worked for the School of Visual Arts in New York. In 1968 he settled in London, establishing himself as a leading figure in conceptual art. There he worked at Goldsmiths College, inspiring developing artists including Julian Opie and Damien Hirst. Many of the artists with whom he worked in his years teaching at Goldsmiths were later known as the Young British Artists. Craig-Martin’s first solo exhibition was in 1969 at Rowan Gallery in London, England. He worked as an artist-in-residence at King’s College in England from 1970-1972. By 1977, Craig-Martin began to form his visual language of common objects. To this day, he devotes energy into this ever-changing and evolving distilled form of optical communication. Within this vocabulary are images drawn from Craig-Martin’s photographs, which focus on commonplace, mass-produced, and man-made items. In the late 1970s, Craig-Martin used his visual vocabulary to create drawings, which still hold a high importance in his oeuvre, serving as an important foundation for his later work. In the 1980s, Craig-Martin began an important body of panel paintings. In 1982, he had his first solo exhibition at Waddington Galleries in London, United Kingdom. In 1989 Craig-Martin was appointed as a trustee of London gallery, Tate, and several years later, he was appointed as the Millard Professor of Fine Art at Goldsmith’s. In 1993, Craig-Martin began adding color to his studies of commonplace objects, granting himself the freedom to choose the colors he wished. The 1990s held much change for Craig-Martin’s art; he began to shift primarily toward painting. His bold themes and distinctive style led Craig-Martin to be recognized as one of the important members of contemporary Pop Art, Minimalism, and Conceptual Art. Amongst his creative accomplishments, Craig-Martin received the distinguished honor of Commander of the British Empire in 2001. In 2006, he was elected to the Royal Academy of Arts in London. His work is part of major collections the Centre Pompidou in Paris, France; The National Gallery of Australia in Canberra; the Museum of Modern Art in New York, and at the Tate Gallery in London, United Kingdom. Retrospectives of his work in 2006 and 2007 and many international solo exhibitions exemplify Craig-Martin’s impressive list of professional accomplishments. 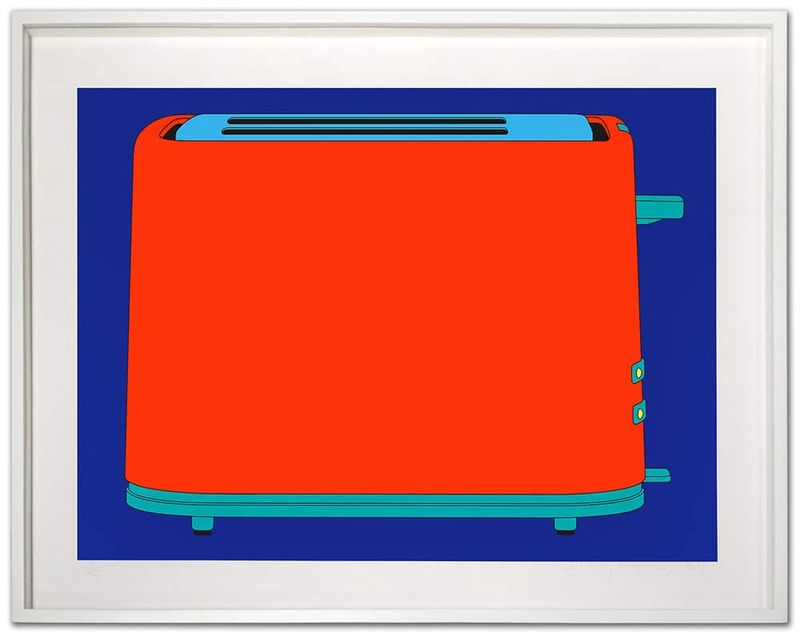 Michael Craig-Martin works and lives in London, United Kingdom. 2013 – “Drawing,” GW Museum, Washington, D.C.